4LAN don't just supply the best racks in Australia, we review every detailed specification thats submitted to us no matter who the specified manufacturer is resulting in massive savings for your installation project. We consult with the client, match the requirements, make enhancements and ultimately offer a more personalised solution to ensure the perfect server rack for your client. 4LAN can also personalise your power requirements with high end vertical metered rails to 32 amp IP rated plug tops and all at a very reasonable cost. We have thousands of satisfied clients that will insist on 4LAN racks including NSW Premiers Office, Corrective Services, State Library, Allianz Stadium, Four Seasons Hotel and NSW Ambulance Service to mention a few. 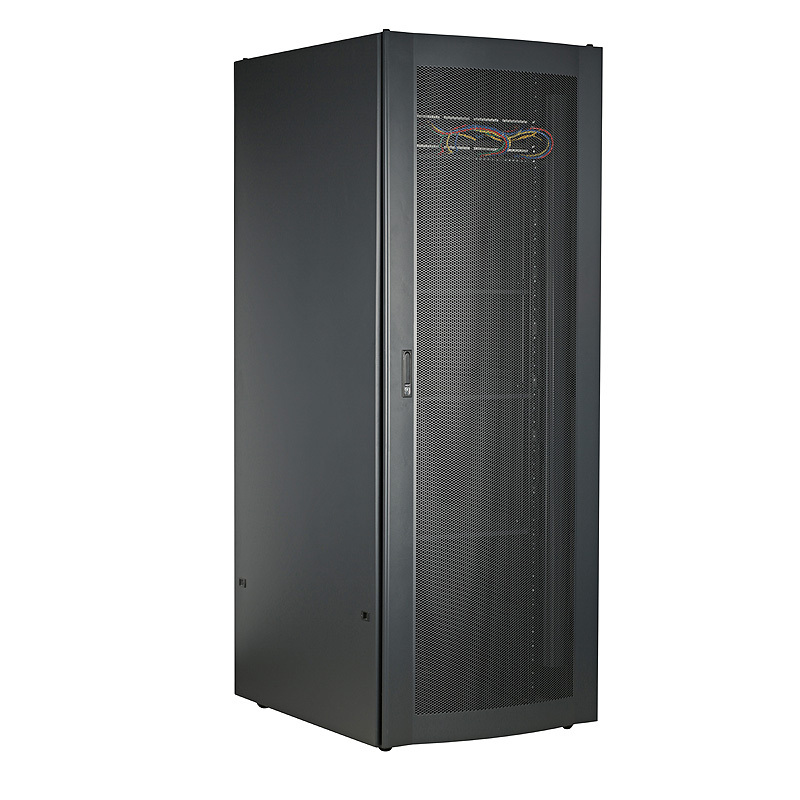 It is essential now and for future proofing your installation, especially in a data centre environment, to ensure your rack design incorporates sufficient temperature and humidity control through simple cost effective measures including perforated doors, ceiling/19” fans, chimney provision and all around ventilation to ensure dissipation of unwanted hot air from critical equipment which will prolong its life and prevent costly downtime. We also offer a unique fan control unit that can regulate the operation of your fans between specific temperature ranges hence reducing unnecessary fan use. Is and will the rack be deep enough to cater for all of the equipment being installed? Bear in mind the PABX you are installing might be only 300mm but the Computer/IT Company might need 900mm for the server. If you calculate your requirements, say 30RU for your Cat 6A panels, management and switches, always allow for future expansion and in this case I would recommend a 45RU ensuring 50% additional capacity. If you supply the wrong size rack this can be a time consuming and costly mistake. Always consider the amount of power sockets required for the equipment in the Rack. Most equipment nowadays whether it be Data, Voice or Video is 19” mount and hence racks are becoming more populated. Good practice is also to install two power rails to different electrical circuits especially if the servers have two PSUs so if one should fail thereʼs always a backup supply. If your project is primarily a Structured Cabling install consider using an 800mm wide rack as this will enhance the overall look of the cabinet and provide suitable room for proper dressing of cable looms and will be less liable for other equipment suppliers to interfere with when installing their equipment. The additional 300mm cable trays are also essential inclusions in this case as It will increase the overall performance of your cabling solution when tested for warranty.